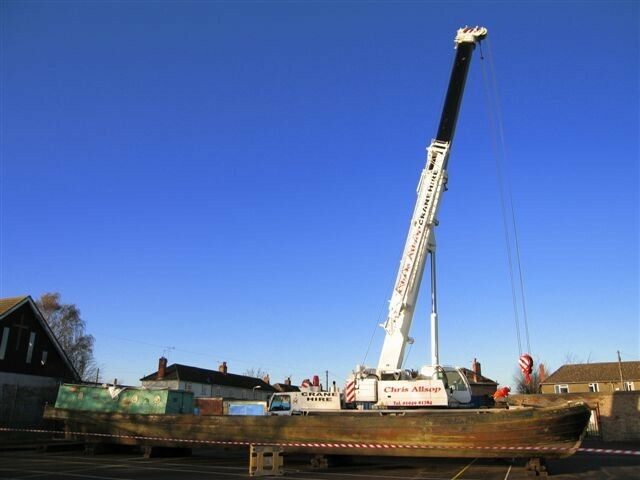 British Waterways has made the historic narrow boat Corvus available to the Grantham Canal Partnership, on long-term loan. 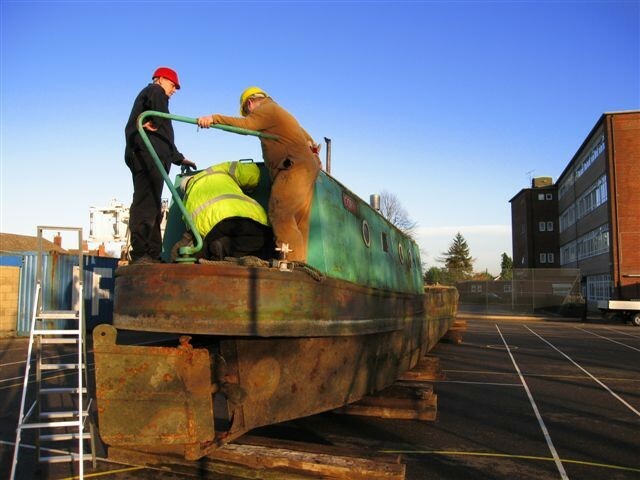 The plan is for Corvus to be refurbished at the College, before being carefully developed to be a floating study centre, meeting room and exhibition – for use by St. Hugh’s and other schools, the Grantham Canal Restoration Society and other local community groups. 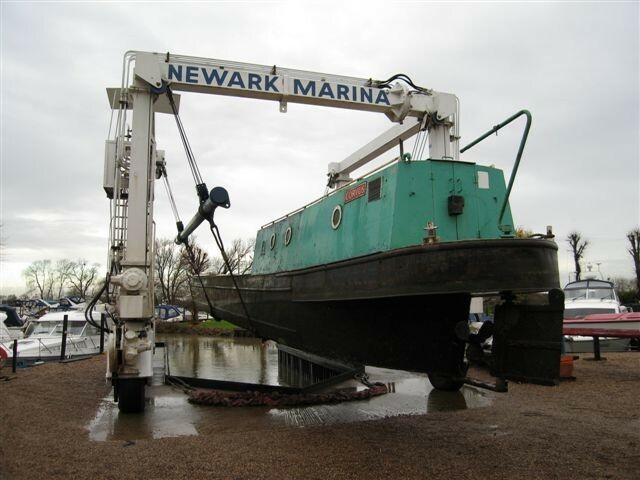 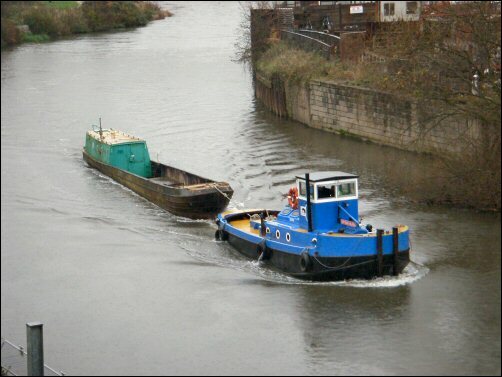 After some months being moored, out of use, at Lincoln, Corvus was towed to Newark in late November 2006, via the Fossedyke and River Trent, by BW tug Arthur-a-Bland. 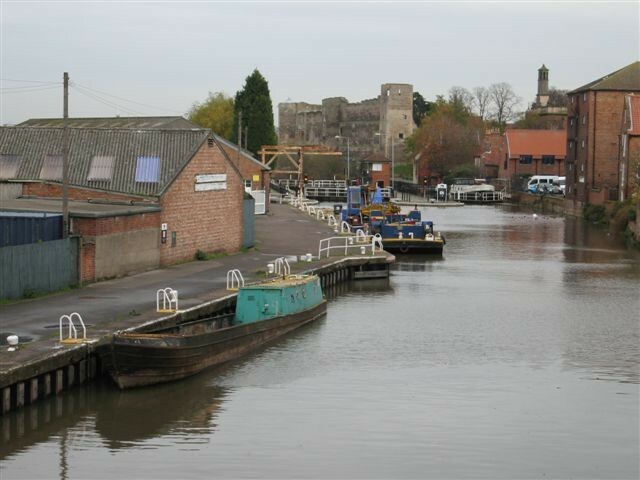 There she was moored just above Newark Town Lock, to await her transfer to Grantham. 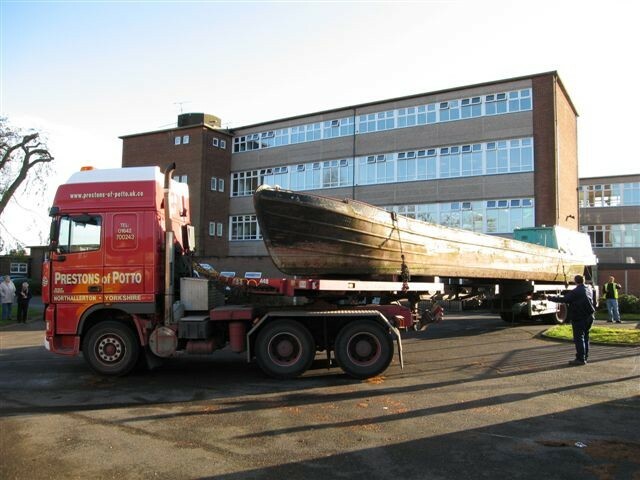 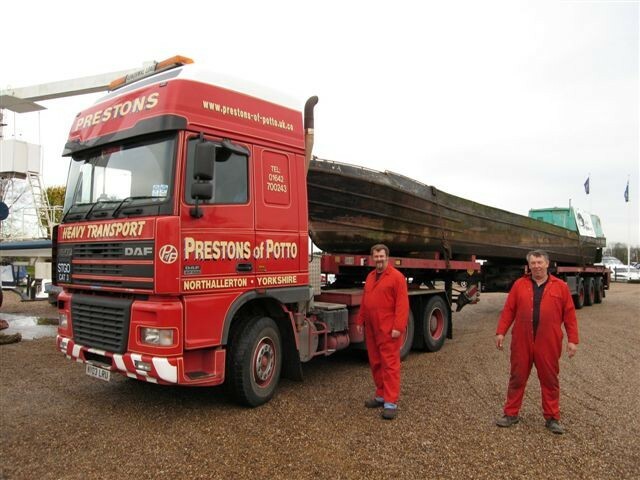 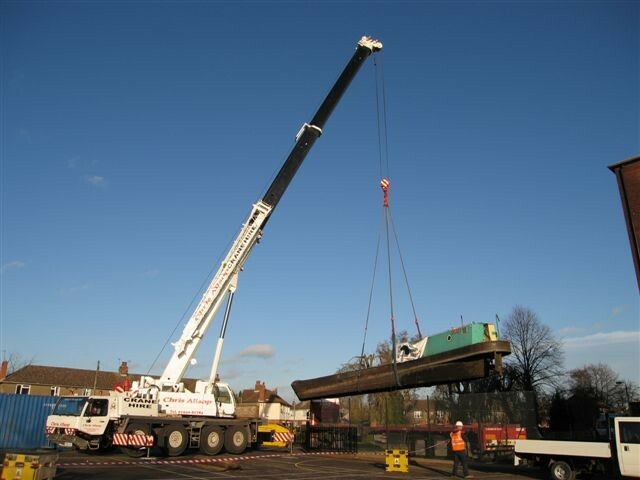 Tuesday 28th November saw Corvus woken early for her final river journey for some time – under her own power – to the well-equipped Newark Marina – where she was to be lifted from the Trent and loaded onto the back of one of Prestons of Potto’s lorries for her run down the A1. 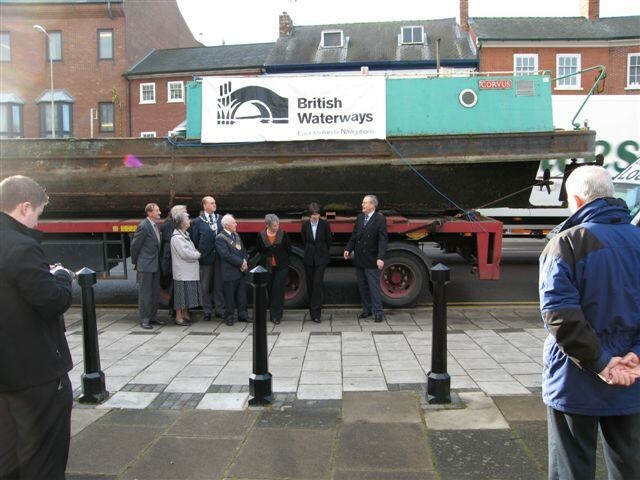 By mid-day, with the help of the Lincolnshire Constabulary, Corvus was prominently sited on St Peter’s Hill, Grantham, directly opposite the Council Offices, where she was officially welcomed to the town by a civic party, led by the Mayor of Grantham and Chairman of South Kesteven District Council. 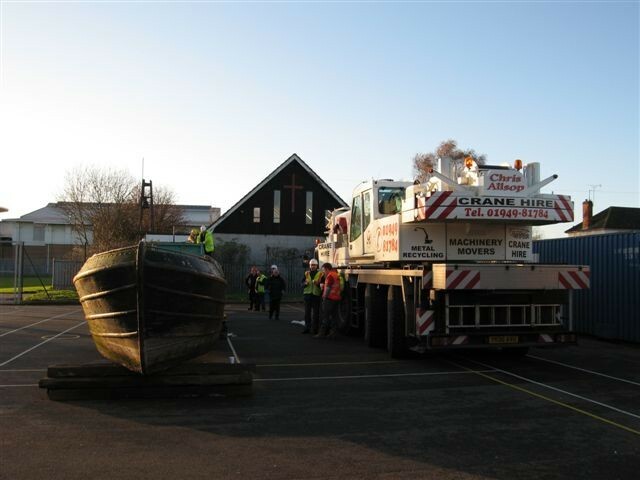 ‘Thank you’ to them all!